Did magician Cazeneuve and the Queen of Madagascar have an affair? Was there a ghost living in the house of the Fox Sisters? Why do magicians pull a rabbit out of a hat instead of a racoon? Who was buried at The Great Lafayette's funeral if it wasn't Lafayette himself? Who killed Chung Ling Soo? What magician invented the pay toilet? 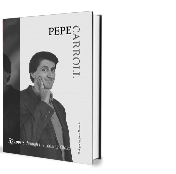 This book, which also functions like a deck of cards, deals with the history of magic with a novel approach: through the caricatures and biographies of fifty-two famous magicians. 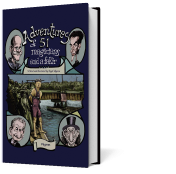 The book is filled with history, humor and adventure but, above all, it deals with magic and how to do magic. 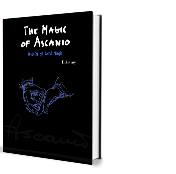 With so many good magicians in it, the book ended up acquiring magic powers. Using the book and a deck of cards you can guess what is written on a randomly selected page; a caricature of a magician selected by a playing card disappear; a chosen page matches the only red card in a blue-backed deck; a line of text appears rotated when a spectator turns over the corresponding card. The book opens the door to many new tricks. 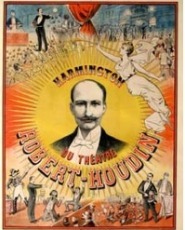 It contains over a hundred magnificent caricatures by magician and artist Angel Idígoras, along with the life, stories, and miracles of each and every one of these celebrities, from the early conjurers to the magicians of today, including Houdini, Maskelyne, Hofzinser, Saint John Bosco, Dai Vernon, Slydini, Annemann, Cardini, Okito, René Lavand, Tamariz, Ascanio, and Copperfield.